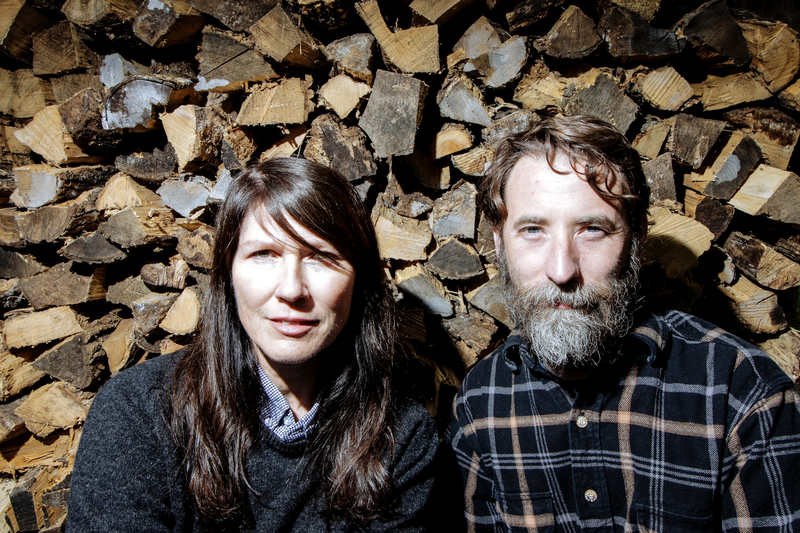 R. Ring features the Breeders’ Kelley Deal and Ampline’s Mike Montgomery. Both Kelly and Mike play the guitar and sing. Catch them at BFF Fest along with 13 other bands this Saturday at the MOCAD. Kelley: I was invited to contribute to a GBV tribute record called ‘Sing For Your Meat’. I asked the Buffalo Killers to play with me on it. They are a great band from southwest Ohio. Mike: They were recording with me at my studio in Cincinnati. We became friends through that project. 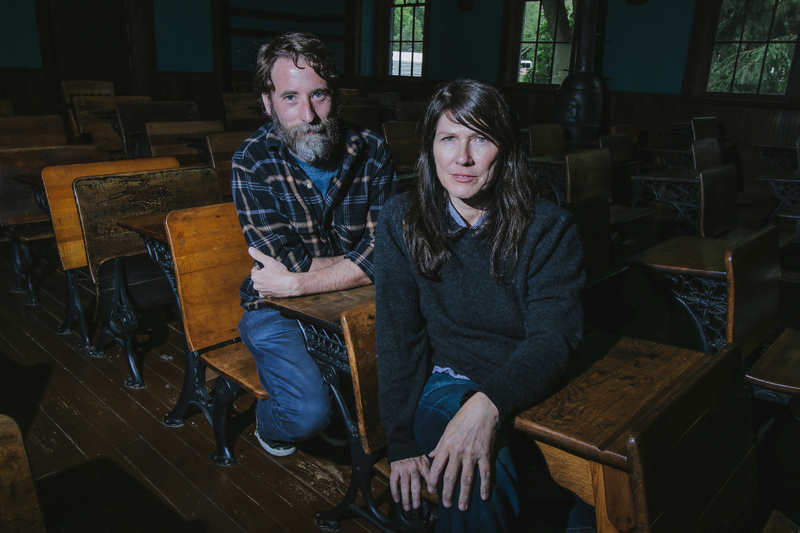 When another Ohio band, Alone at Three A.M., asked me to open a show for them solo, I expressed my nervousness to Kelley who offered to sing with me to assuage my fears. After that, other people asked us to play some shows and it just sort of grew from there. Mike: I was looking at a sheet of fingerprints and I liked the way the letters looked. I also couldn’t say ‘r’s when I was little so I thought it would be fun to have a band name full of them. How do you think growing up and living in the Midwest influenced you? Mike: I’m not really sure. I lack the imagination to superimpose my upbringing on some other locale… I could argue that boredom led me to skateboarding which led me to love music full of fire. Staying here has allowed me to afford to live and work within music. Kelley: Yeah, especially before the Internet where All-Things from All-Times from Every-Where is simply a click away. My friends and I didn’t access to a ton of live new music like New York, LA and bigger cities offer. But I think there is something cool about that. We did our own thing because we just didn’t know any better. Mike: I love all the music of my parents’ record collection, from Willie Nelson to CCR as well as all early SST and skate rock bands. Timeless punkers like Dead Kennedys and Circle Jerks. I get inspired by people doing good things and working hard on creative projects, like Jerry Dirr from Phratry Records. Kelley: I tend to like certain songs from a wide range of people based on how that song affected me – you know? From Little Jimmy Scott’s ‘Sycamore Trees’ to Julian Cope’s ‘Sqwubbsy’. Mike: It’s all over the map; soft, heavy, clean, dirty, soothing, obnoxious. We try to keep each other entertained. Mike: We have some Peavey amps and a little Vox amp we use with R. Ring. We each play acoustic guitars. Kelley has an electric as well – a mustang and I play a jazzmaster. She’s got a tube king and some distortions…an orange one…and maybe a reverb and delay pedal, plus she has some more pedals she sings through. A full arsenal of funnsounds … I have a boss delay pedal and an eq pedal and a fuzz war distortion machine. 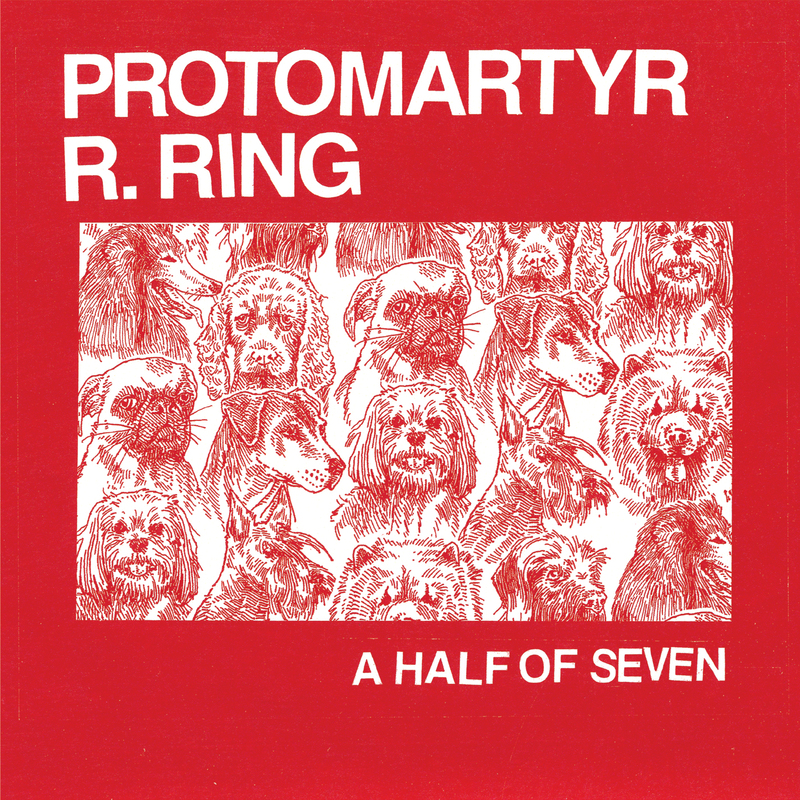 Mike: Protomartyr. Chris Koltay. Detroit Cobras. Kelley: Shout out to Protomartyr! You just released a 7” split single “A Half Of Seven” with them (our local favorite Protomartyr). How’d you discover this Detroit band and what originally drew you to them? Mike: We were playing a showcase for Sub Pop at SXSW and they we playing it as well. We saw them play and really liked them. We traded music and promised each other we’d stay in touch…both bands stayed true to our word. They ended coming to my studio in Cincinnati. Kelley came down for the weekend and we got their song recorded and mixed. We had a blast. How have you changed as a musician over the years – is anything easier/harder? 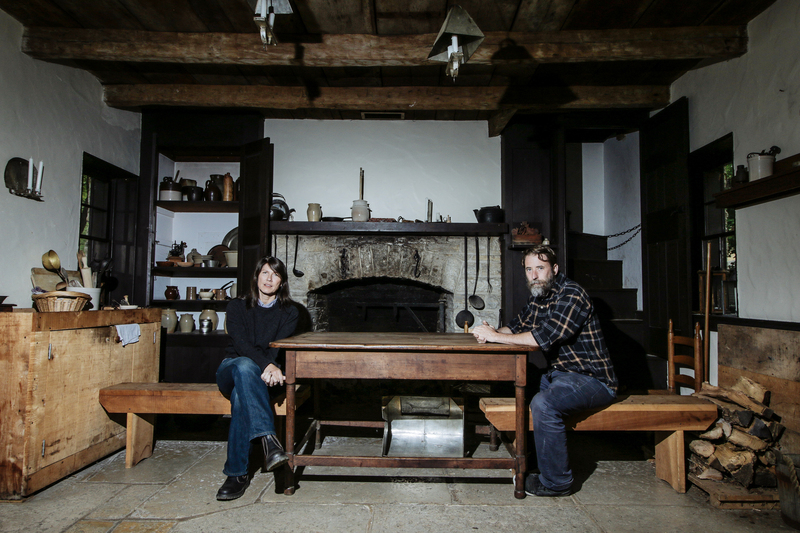 Mike: I’ve learned to share more and work through ideas more democratically…to be less possessive of ideas. Kelley: I’m terrible at updating social media. Ya know – using it as a great marketing tool? I just can’t be bothered anymore. I would rather go to the dentist. I have to change my attitude about it! What’s your best piece of advice (music/industry related or for life in general)? Mike: Still trying to figure that out for myself. I’ll keep you posted. Kelley: Don’t just stay in your hometown doing shows. Travel around! What was it like working with Lil Bub..?! Has R.Ring recorded at Russian Recording? Mike: I only met the cat after we played a show there. Kelley went back a few months later and did a song with her. Kelley… Take it away! Kelley: Lil Bub and her Human, Mike, (um…different Mike) are wonderful souls traveling across the galaxy making people happy. That is what they sincerely want to do. Russian Recording was a pleasure to work in and I’d LOVE to go back there. Big hugs to Nick, Ben and Anna, the other players on the Lil Bub produced song called Shirtcrush.